The Isle of Man TT starts this Saturday. 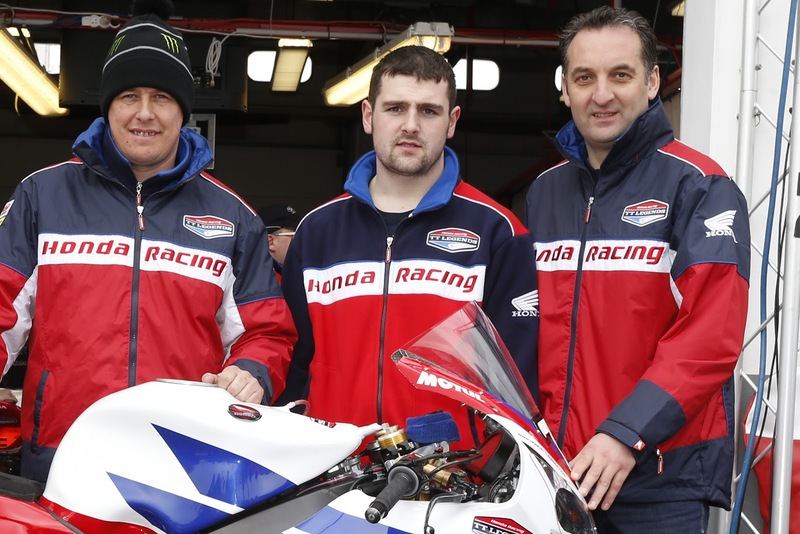 The world's bravest riders will take to the 39.4 mile Mountain Course to try and beat John McGuiness' tally of 19 TT wins and his fastest ever laptime of 131.578mph on the Superbike. 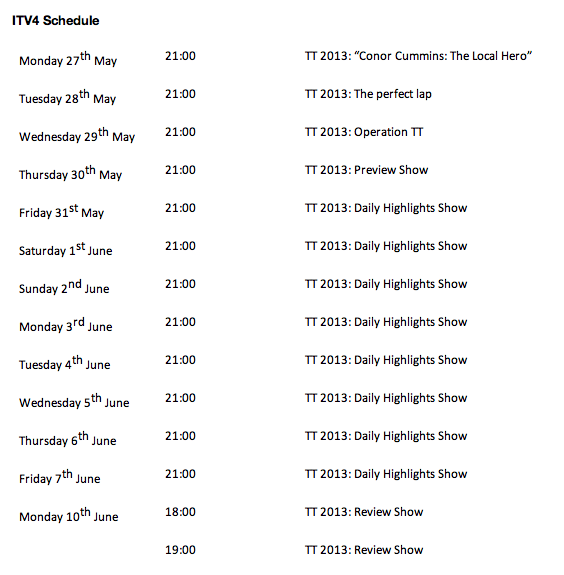 Here's the full practice and race schedule, and below that is the TV schedule for those of us in the UK.